​Albers Finishing Solutions offers a variety of paint and primer options for your parts. 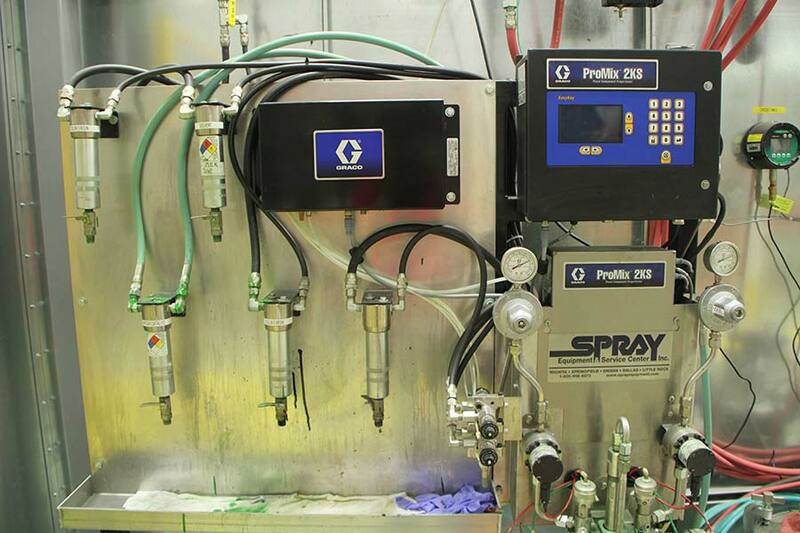 Your parts will have their own recipe as they are processed on our modern, automated paint system. Load bars of parts move asynchronously through the processes ensuring your parts are processed for your specifications, providing quality and consistency. Albers Finishing & Solutions uses a state-of-the-art automated liquid finishing system. 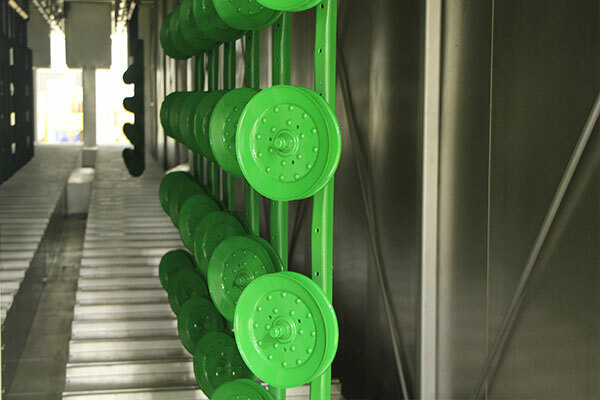 It is a modular system featuring a friction-driven overhead conveyor (an advanced alternative to power and free). Smart controls allow individual sections to move independently of other sections in both speed and direction (including reverse) throughout the system. 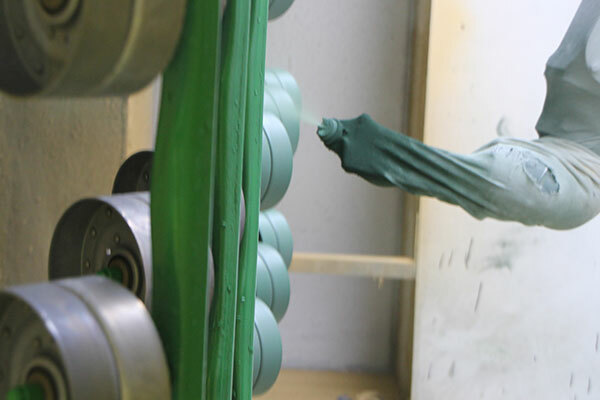 Paint is applied with a robot which means reliable consistency, quality and more throughput than manual painting. Processing a large volume of parts is no problem for our paint system. 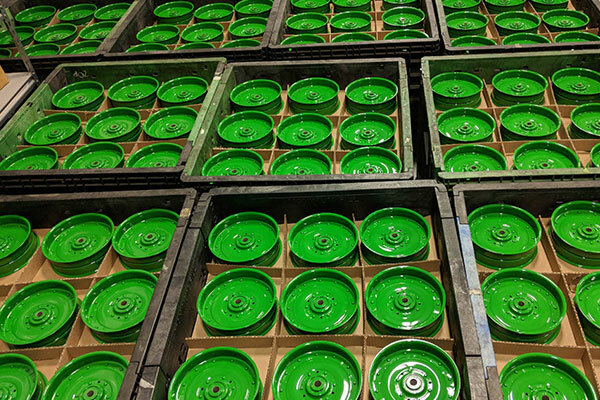 Our liquid finishing paint system is chainless, allowing the conveyor to move easily in forward or reverse, and includes a 3-stage wash, with independently programmed sections, paint robots, dry-off oven and a dual lane cure oven, increasing our efficiency and quality of finished parts for our customers. Our energy efficient washers with a control system that reduces resources and chemical usage allows us to offer competitive pricing for our customers and to provide consistent, high-quality finished parts every time. We understand the importance of a clean part and our automated washers ensure our chemicals are being applied perfectly for your parts. The most energy efficient ovens in the industry ensure proper cure time is provided for each part recipe, no matter the size of the part. We are able to provide our customers with consistent, high-quality finished product for a wide variety of industries. Our robot paint application is programmable to your part specifications and requirements based on the individual recipe. Smaller parts rotate in the booth for painting of both sides while larger parts re-orient with the use of a glide switch for an efficient painting process. For smaller quantities or complex parts, manual application of primer and top coat is also available. We gather the components and parts needed for your assembly, forming a kit, issuing them to the point of use. Together, with our production team, we will define kits based on your demand and production criteria so your assemblies or replacement parts are ready when you need them. ​Our kitting process organizes and assembles parts, so they can be delivered to the point of use, our warehouse, until they are requested on a purchase order. Paint quality is assured in a number of ways at Albers Finishing & Solutions. 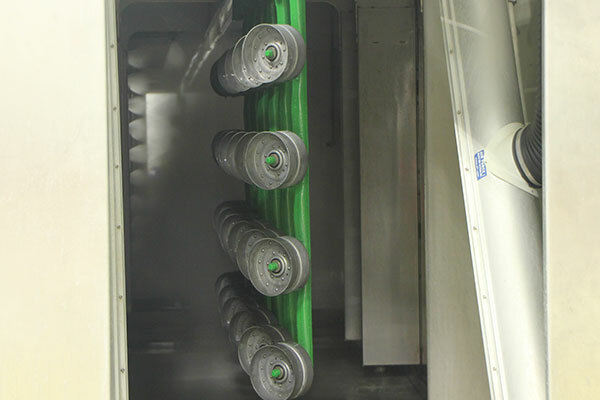 Automated processes with stored recipes ensure consistency every time your parts are placed on our paint line. Our investment in the latest paint technology results in paint quality you can count on.